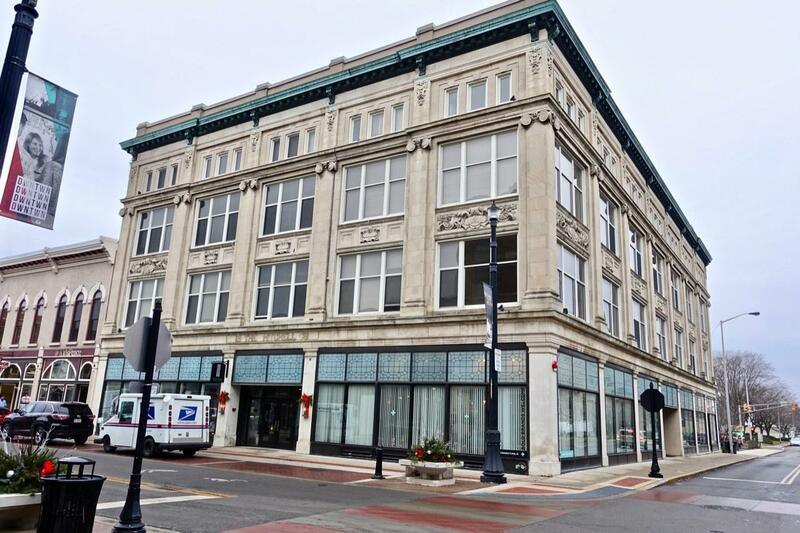 This is one of the finest lofts offered in downtown Muncie. 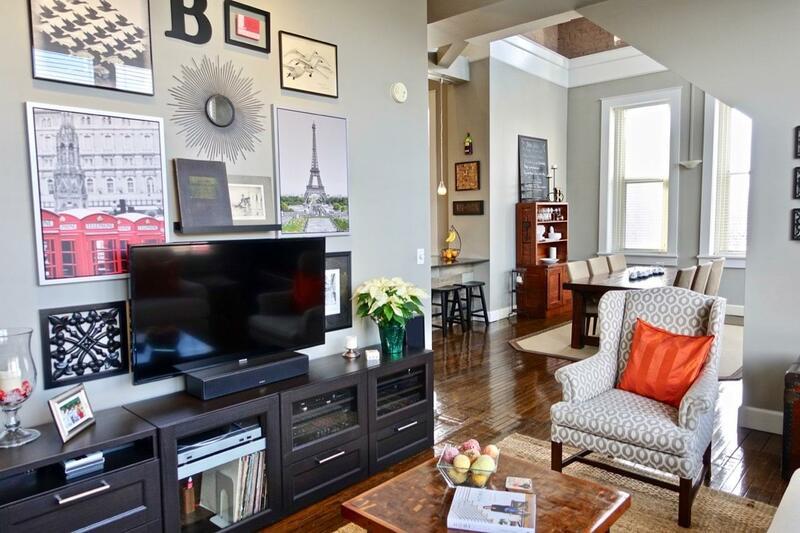 Located in the Mitchell Place Lofts in the heart of downtown (Walnut & Adams), this condo has 1,126 Sq Ft of living space, 1 bedroom (2nd floor), living room, dining room, kitchen, and 2 full baths. 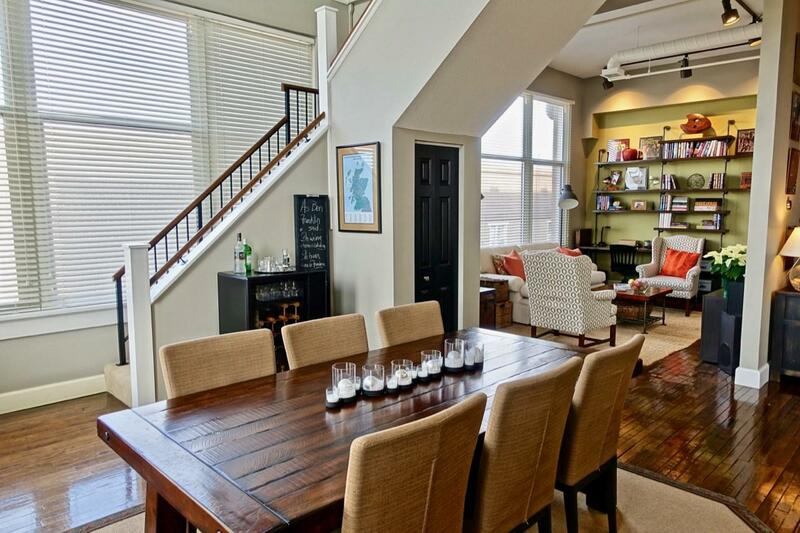 This corner top floor unit has the best view of all the Lofts. The entire Loft is completely renovated with a new look the fantastic kitchen, new appliances, granite tops, tile backsplash, hardware, faucets, lighting throughout (mostly LED), all new modern paint decor, Nest thermostat, shelving, electrical, carpet, closet system, blinds, mirrors, shower remodel, tiled floors, and much more. HOA fees are $229.92/month. Visitors must be buzzed in for secure access. Right next to back of the building stairs too. Basement elevator parking space with other spaces for rent. Good private storage for all owners of Loft units in the basement garage too. LEASING INFORMATION: Except for residential unit leases in effect as of March 1, 2019, the minimum term for any residential unit lease shall be twelve (12) months. Any residential unit purchased after March 1, 2019, may not be leased until the owner has lived in the unit for at least twelve (12) consecutive months. For any lease of a residential unit entered into after March 1, 2019, the owner of the leased residential unit shall pay to the Association a leasing privilege fee of $50.00 for each month that the lease is in effect. 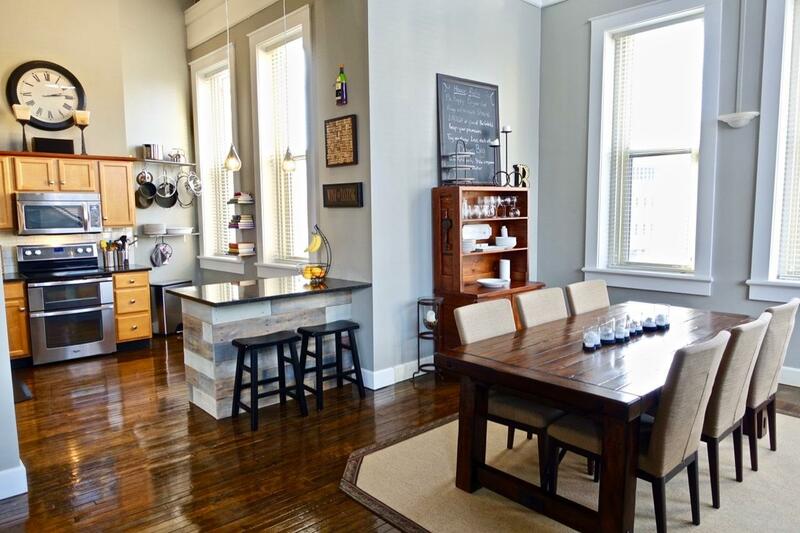 ---- Some furniture remains with this Loft including: All rugs, Entertainment center, TV mount, Trunk and shelf/ mirror (entry), Trash/recycling can (kitchen), Bar stools, Bar cabinet, Dressers, Night stands, and Shoe benches. All the other furniture is negotiable except: Coffee table Wing back chairs, and Trunk. MATTERPORT TOUR NOW LIVE!